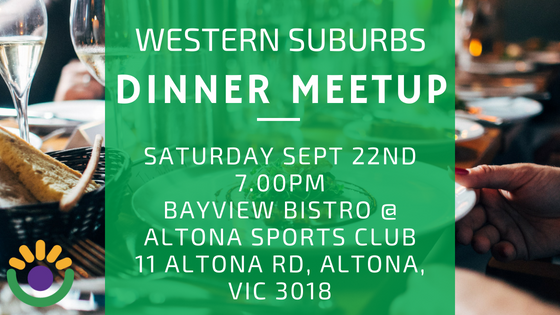 Throughout September, our volunteers are hosting dinner meet-ups in the North, South, East and West of Melbourne. We know it’s not always possible to travel in to the city, and we want to make support events accessible to everyone. If you are able to attend, please show your support for the volunteers who put the time in organising events like this.